‘I can’t make love to you unless I imagine a palm tree,’ says Justine in Lawrence Durrell’s Balthazar (The Alexandria Quartet, 1958). Since arriving in Athens I have heard a curious story, told and retold in different ways. 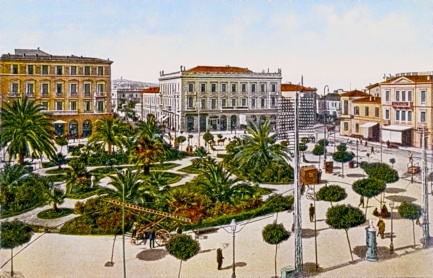 It is about the removal of the palm trees from the urban landscape of Athens as a way of visually ‘re-orientating’ the city towards Europe rather than the ‘Orient’. This urban legend has been told to me three times: once as happening at the end of the Ottoman Empire’s sway over Greece, the second time at the end of the Second World War, and the last at the time of the Junta in the seventies. I'm still trying to work out if any of these different versions are true. 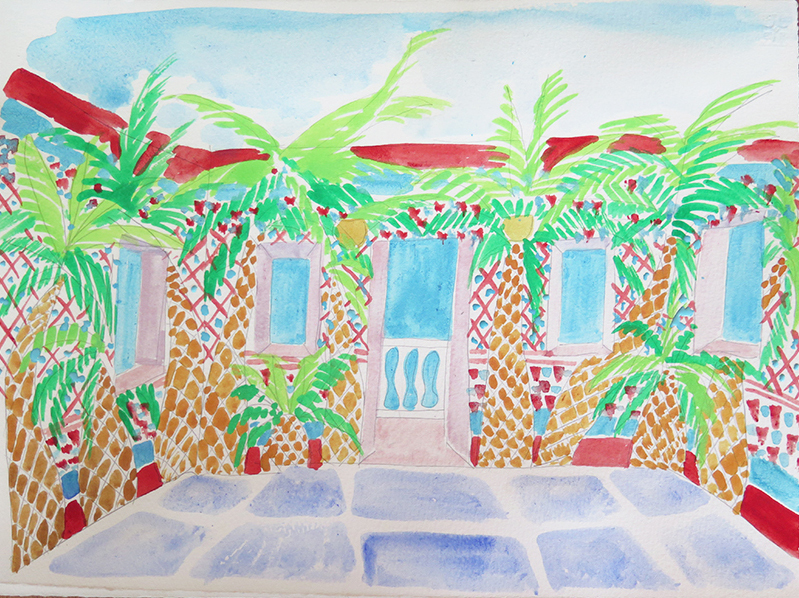 Imagine A Palm Tree is a work already in progress as I write from my studio table in the midst of preparatory drawings on paper and the walls of the top floor café at the Benaki Museum's Islamic Art Collection here in Athens. Commencing in earnest in April, it will be a series of events framed by a floor-to-ceiling mural covering the walls, doors, window frames, and any surface available to me. It will no longer be a symbol of overspending in the Olympic Games of 2004 (imports of palm trees rocketed as a way to provide shade and a look of luxury. 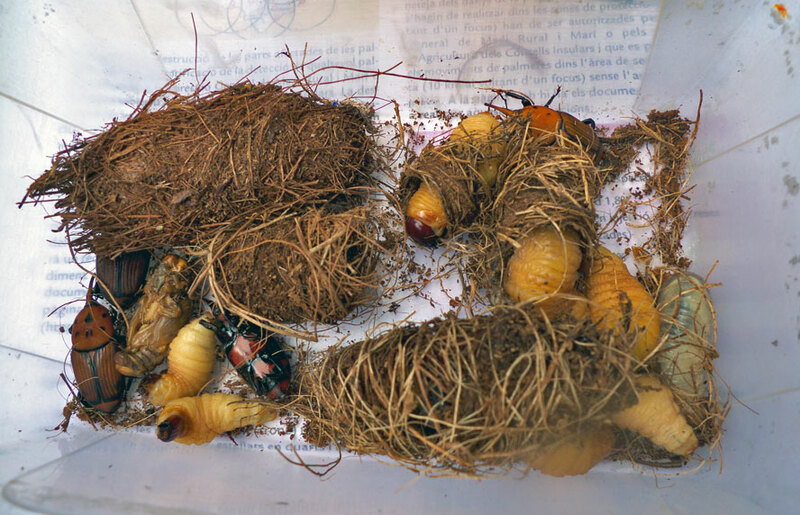 It also brought the red beetle). 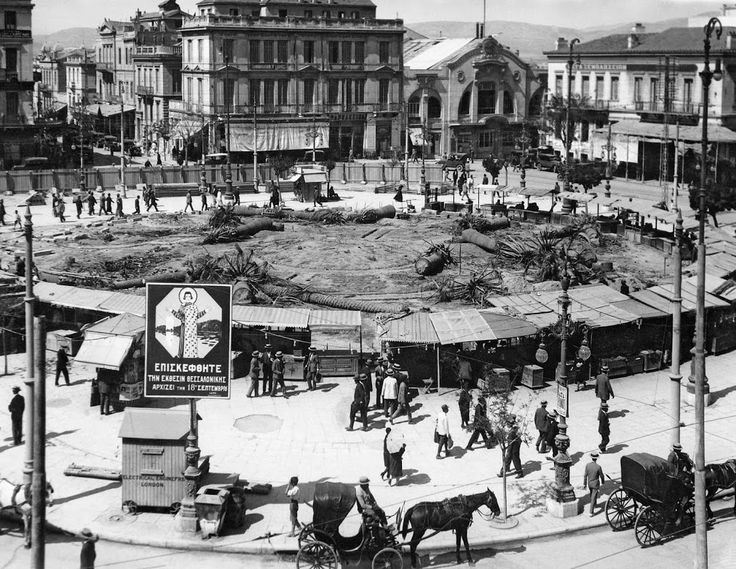 It won’t be uprooted in favour of metro ventilation shafts (as was the case in Omonoia Square in 1927) or pulled apart for local holy days that feature palm leaves. It will no longer be a symbol of East, or West. Instead it will reflect upon other aspects of its representation, in western decorative art (think Owen Jones and Thomas Hope), Islamic architecture (the first mosque in Medina was held up by its delicate column trunks) and perhaps most importantly its modern life. 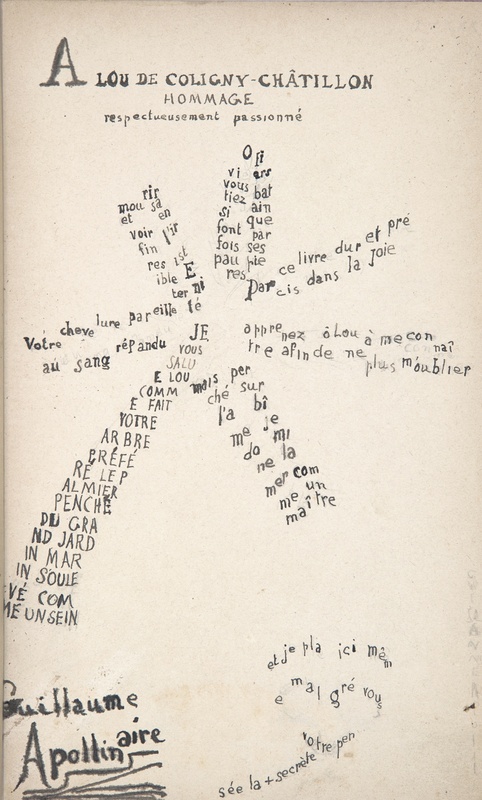 Did you know that Guillaume Apollinaire wrote a calligramme love-poem in the shape of a palm? Or that in Bedazzled, when Peter Cook as Satan asks God to be let back into Heaven, it's the palm trees in the Great Conservatory at Syon House that boom back at him: No chance mate. 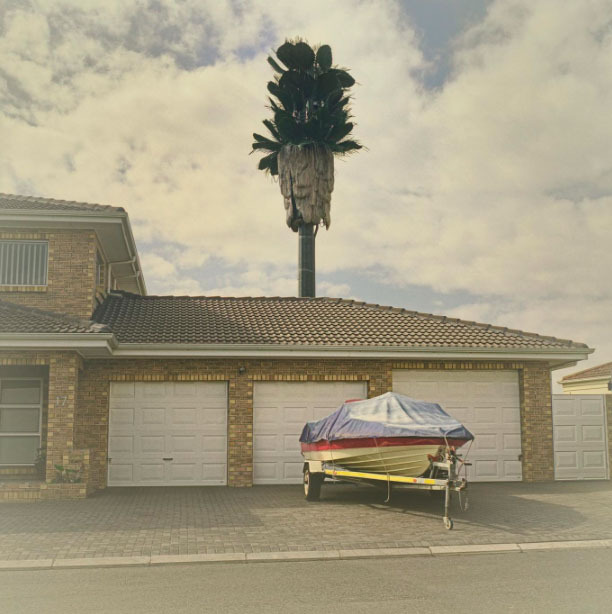 Or that mobile phone masts and wifi can and have been disguised as palm trees in public spaces in South Africa? That California has a huge problem with drone enthusiasts flying their hobbyist aircraft into their branches? Bet you didn’t! The top floor café of the Islamic Art Collection has been closed for the past year as a direct result of the financial crisis. The aim of the project is to bring life back to the space, encourage new visitors and provide the setting for a series of events reflecting on European and Islamic art, and the position of Athens between these two worlds, now and in history. 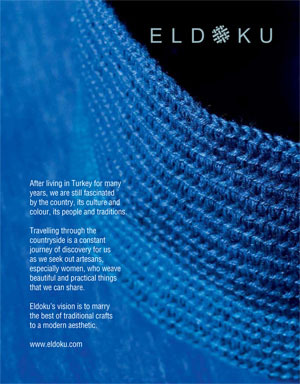 The Benaki Museum's Islamic Art Collection is a rich trove of objects and artworks relating to this history. It seems vital at this moment in time to encourage more people to explore these works and engage in dialogue around them. For myself, the Benaki offers the opportunity to paint on a huge scale in a public space and engage with the museum visitors on a daily basis from atop my ladder as I work. If you come along, I might even make you a cup of tea or coffee on the house! In my previous projects at Leighton House in London and Witte de With in Rotterdam I worked in public to engage with visitors and I intend to take that practice even further in Athens. It could be something like the above - a project I worked on earlier this year with Probe in the Netherlands. The mural at the Benaki will fill the whole space in the same way, and will surround the viewer with colour, light and pattern as they walk into it. 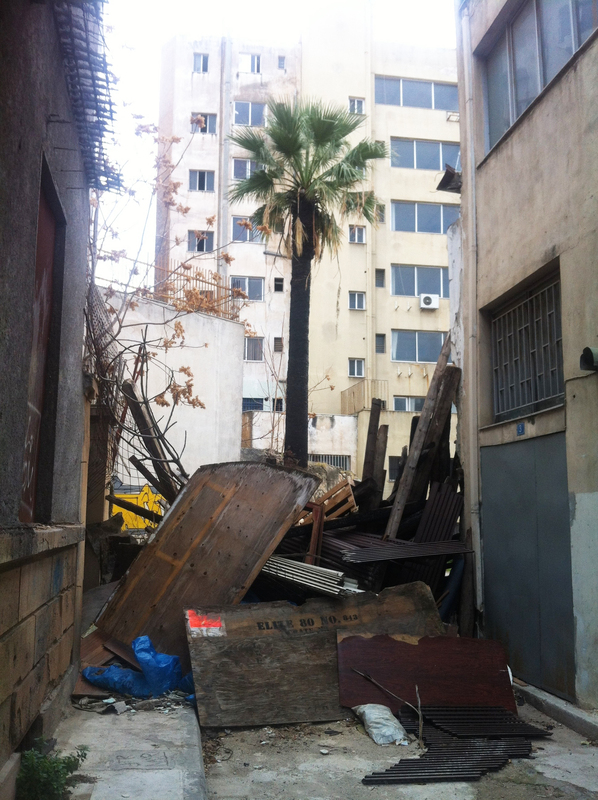 I just feel the Athenian palm has suffered for long enough. Appropriately for a time of crisis in Greece, where budgets for cultural production have been hit hard by the financial crisis, and artists and institutions rely on the support of those who love the arts and believe in the importance of dialogue between culture and society, and between different histories and traditions, Imagine A Palm Tree is completely financed by crowd-funding. The mural installation will take several months to paint, beginning now in January 2016, and it will be open to the public until September 2016, and perhaps beyond. During this time, we will use the café as a project space to welcome new audiences, run a series of events, talks, and workshops with local artists and schoolchildren, and bring new visitors to the museum. Do come and visit! ABOUT THE ARTIST Navine G Khan-Dossos (b. 1982) is a visual artist, based in Athens. One of the preoccupations of her practice is the complex relationship between Islam and the West. Khan-Dossos's approach to her research is rooted in a traditionally ‘western' History of Art education, while her painting is based on a rigorous training in the philosophy and crafts of Islamic art. Her interests include Orientalism in the digital realm, geometry as information and decoration, image calibration, and Aniconism in contemporary culture. Khan-Dossos studied History of Art at Cambridge University, Arabic at Kuwait University, Islamic Art at the Prince’s School of Traditional Art in London, and holds an MA in Fine Art from Chelsea College of Art & Design, London. During 2014 – 2015, she has been a participant at the Jan Van Eyck Academie in Maastricht. 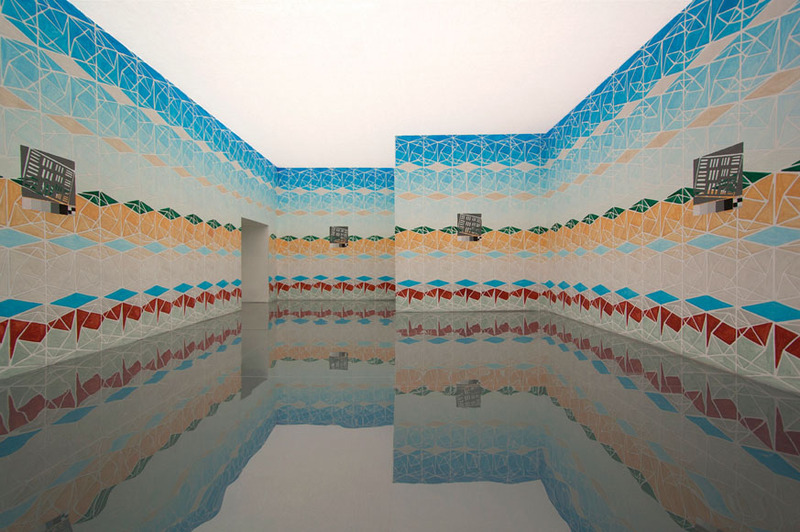 She has exhibited and worked with various institutions, including the Museum of Islamic Art (Doha), Witte de With (Rotterdam), The Delfina Foundation (London), The Library of Amiens (Amiens), Leighton House Museum (London) and the A.M. Qattan Foundation (Ramallah). 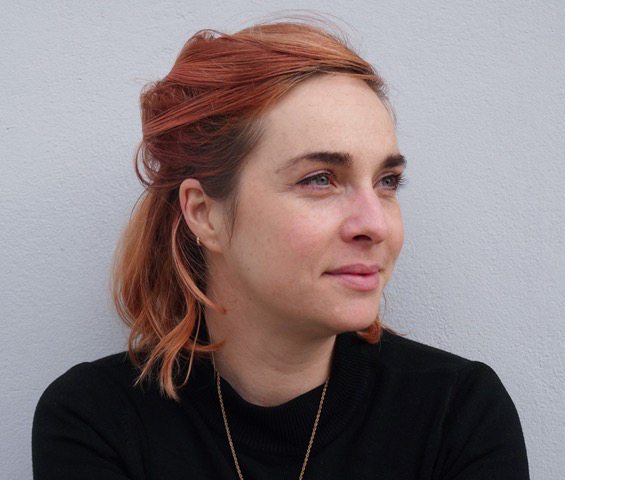 She has published work in The White Review and The Happy Hypocrite. 1 Koumbari St. & Vassilis Sofias Ave / Museum of Islamic Art: 22 Ag. Asomaton & 12 Dipilou St.
Click here for visiting hours.